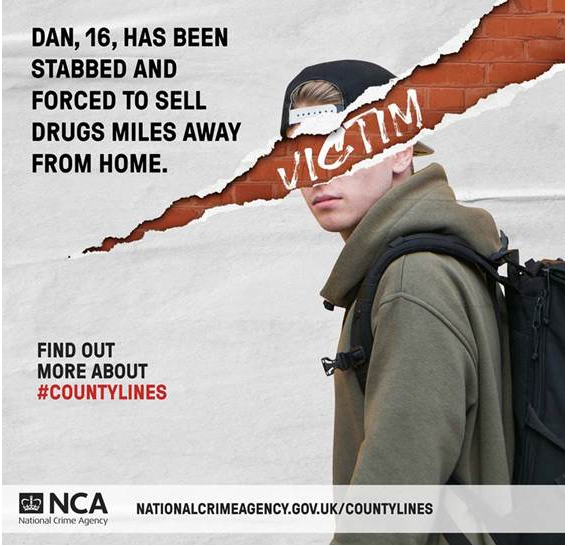 ‘County Lines’ is a term used when drug gangs from big cities expand their operations to smaller towns, often using violence to drive out local dealers and exploiting children and vulnerable people to sell drugs. These dealers will use dedicated mobile phone lines, known as ‘deal lines’, to take orders from drug users. Heroin, cocaine and crack cocaine are the most common drugs being supplied and ordered. In most instances, the users or customers will live in a different area to where the dealers and networks are based, so drug runners are needed to transport the drugs and collect payment. As we have seen in child sexual exploitation, children often don’t see themselves as victims or realise they have been groomed to get involved in criminality. So it’s important that we all play our part to understand county lines and speak out if we have concerns. How do you know if County Lines drug dealing is happening in your area? The best advice is to trust your instincts. 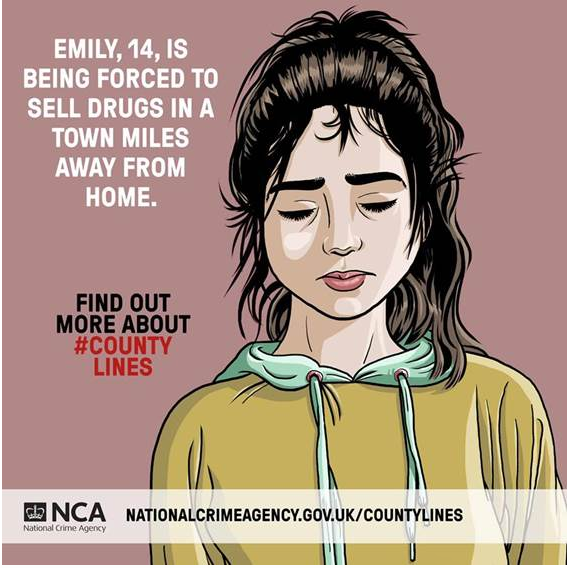 Even if someone isn’t involved in county lines drug dealing, they may be being exploited in some other way, so it’s always worth speaking out. You can speak to your local police by dialling 101, or in an emergency 999. If you would rather remain anonymous, you can contact the independent charity Crimestoppers on 0800 111 555. If you notice something linked to the railways, you can report concerns to the British Transport Police by texting 61016 from your mobile. In an emergency dial 999. A good option is to speak to an adult you trust and talk to them about your concerns. If you want to remain anonymous, you can contact www.fearless.org who are an online service that allows you to pass on information about crime 100% anonymously. You can also call Childline on 0800 1111 – they are a private and confidential service where you can talk to specially trained counsellors about anything that is worrying you.